There’s a new Tesla in town. 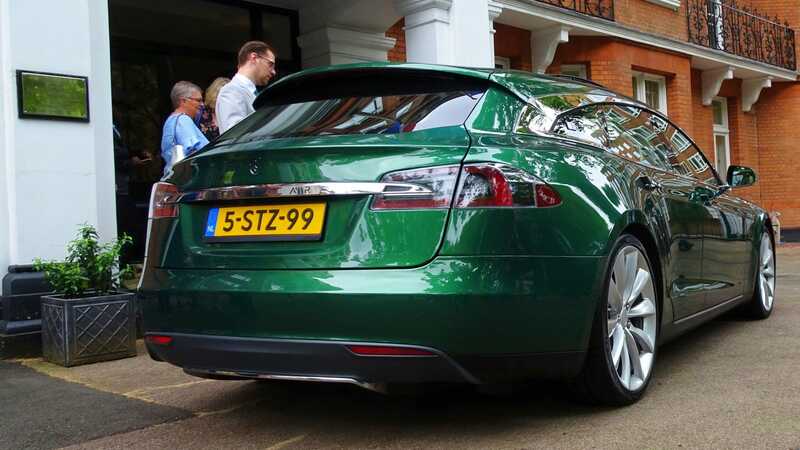 It’s a shiny new Tesla Model S Shooting Brake built by coach builders RemetzCar and penned by London-based Niels van Roij Design. It was launched at the Dutch Embassy in London so I went to have a look at it, and to be given a passenger ride by the man who commissioned it: Shooting brake enthusiast Floris de Raadt.